On this week's episode, we celebrate the outstanding performances turned in by Bobcat swimmers at the NCAA Championships. The women finished 12th and the men finished a program record 14th in the nation. Plus, we preview the rowing season and the Bates men's lacrosse team cracked SportsCenters' Top 10....at No. 1. All that and more on the Bates Bobcast! 0:46 -- Swimming coverage. Group interview with All-American senior swimmers Teddy Pender, Jonathan Depew, Riley Ewing, Logan McGill and Hope Logan. 15:51 -- Men's lacrosse makes ESPN SportsCenters' Top 10 at No. 1. 16:29 -- Women's lacrosse coverage. Interview with goalkeeper Eliza Statile '19. 21:30 -- Baseball coverage. Interview with LHP and captain Connor Russell '18. 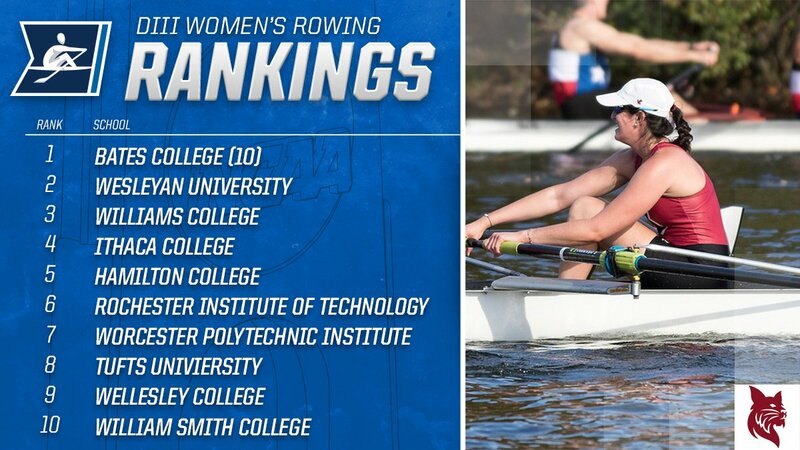 26:00 -- Women's rowing coverage. Interview with two-time All-American and captain Olivia Stockly '18. 34:11 -- Joint interview with Sam Evans-Brown '09, NHPR's Outside/In Radio host (former Bates Nordic skier) and Alex Kapelman '09, The Decision Podcast host (former Bates men's ultimate captain). 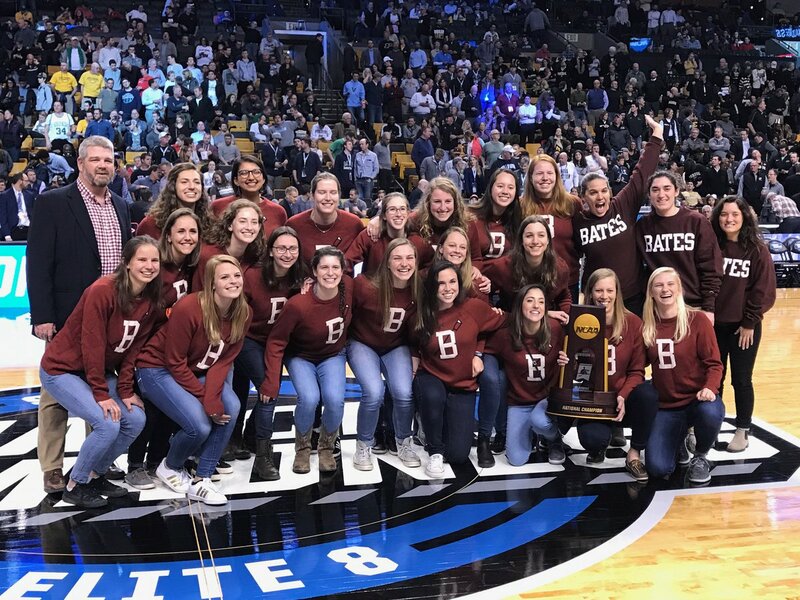 Rowing teams shine on Lake Quinsigamond.
.@BatesCollege rowing teams go undefeated in head-to-races with Tufts, Wesleyan, Wellesley, including a showdown between #1 Bobcat women and #2 Cardinals!